My babies have all been particular about how I help them fall asleep. Swings and rocking chairs have never worked; nope, my babies prefer to be bounced (in a swaying, back and forth up and down round and round type way). 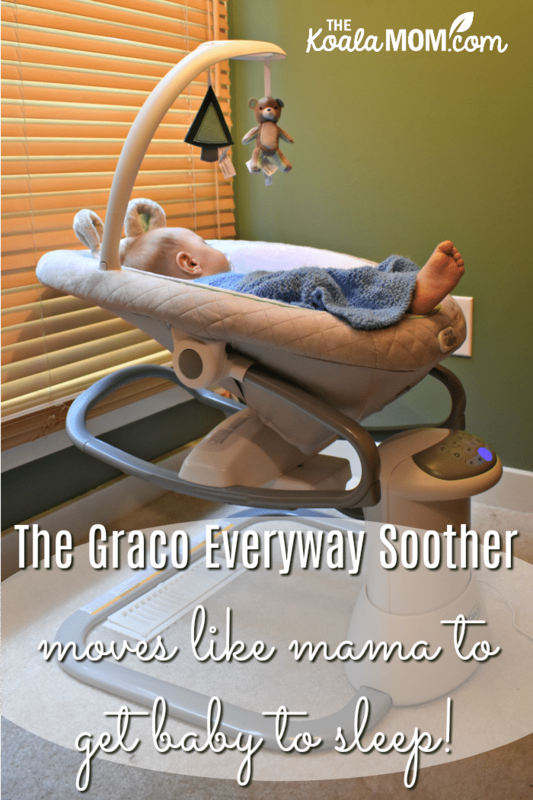 That’s why I love the Graco EveryWay Soother , because it’s got moves like mama. 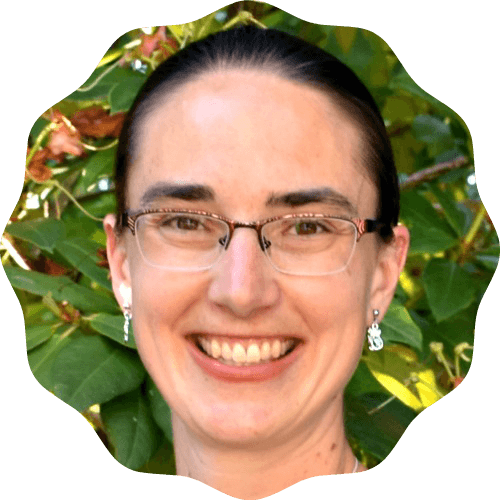 Disclosure: I have partnered with YMC and Nuk/Graco and received compensation for this post. All opinions in the post are my own. This post contains affiliate links; as an Amazon Associate, I earn from qualifying purchases. The phrase “fall asleep” makes us think sleep comes effortlessly. Anyone who has struggled with insomnia knows this isn’t true. As adults, most of us have developed bedtime routines to help us fall asleep more quickly. These may include brushing hair and teeth, reading a book or saying evening prayers, and having just the right pillow to lay down on. As moms, it’s up to us to help our babies develop these routines and rhythms to get to sleep. And it’s not easy. Sometimes, baby may fall asleep and sleep through anything. Other times, baby needs to be bounced and patted and shushed (in exactly the right way, in exactly the right place) before he’ll finally drop off to sleep… and then the slightest noise will wake him up again (and reduce Mommy to tears, but that’s another story). Sleep experts say moms should put babies to sleep in their cribs and let them figure out how to fall asleep there. I often think about that, as I’m rocking or nursing my babies to sleep. The thing is, I’ve nursed or rocked or bounced all five of my babies to sleep. And now, while I’m putting the baby to sleep, my older kids are often sound asleep in their beds. I’ve soothed them all to sleep as babies and they’ve all learned (by at least age 2) to fall asleep on their own and sleep through the night. I’ve often struggled to fall asleep in a new place, like a hotel room or my mom’s spare bedroom. I imagine my babies dealing with this strange world, after the tight, warm, muted environment of the womb. No wonder they can’t fall asleep and then wake up wailing at sudden noises! No wonder they startle when being shifted from Mom’s tight, warm arms to a cold, flat crib, or need a soothing, rhythmic motion to help them relax and give in to sleep. Some easy-going babies fall asleep without a problem in their cribs. 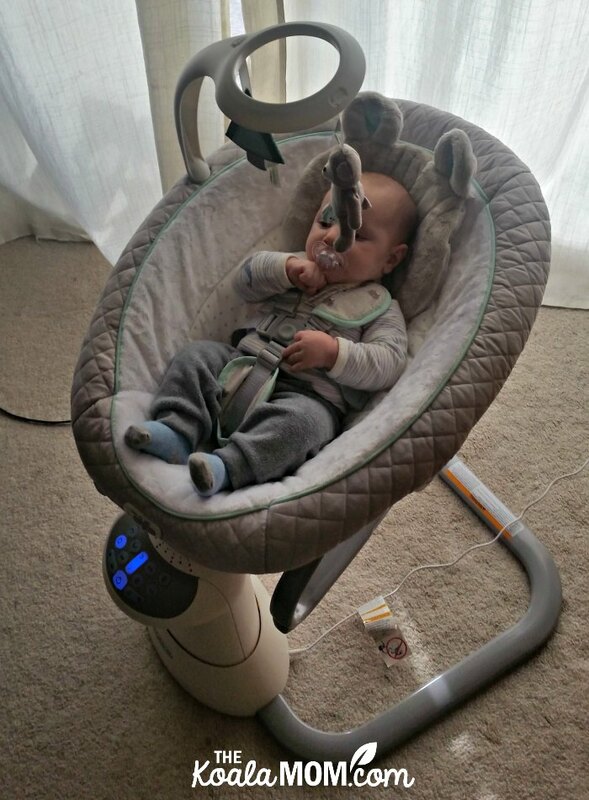 None of my babies have been like that, so the Graco Everyway Soother—with its bouncing, rocking motion and built-in white noise—is as close as I can get to a mechanical version of myself. It gives me a break as I help my babies adjust to life outside the womb and this tricky business of “falling” asleep. Our Graco Everyway Soother arrived when Joey was about two months old—right in the middle of colicky baby stage. With each baby, I’ve hoped we could avoid this stage of late nights, inconsolable screaming and over-tiredness (both baby’s and mine). And with each baby, I’ve been disappointed, but I’ve found ways to get through it. For Joey, the Soother was a big help. 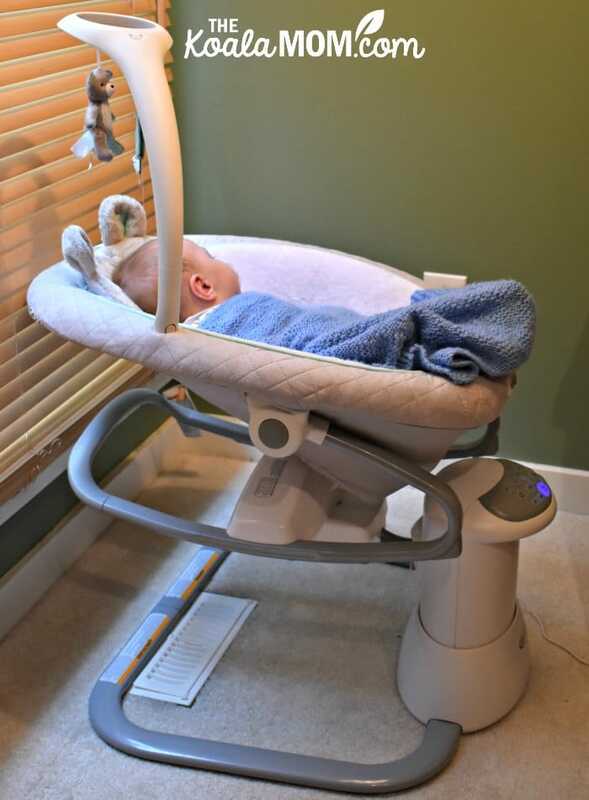 The Graco Everyway Soother has eight ways to swing and two directions, creating sixteen soothing motions for baby. When I look at the buttons on the Soother, I see the way I rock my babies. Sometimes we just sway back and forth, sometimes I bounce side to side (like the H below), sometimes it’s a swing and a bounce (like one of the S motions). My husband watches me putting Joey to sleep and jokes that this is my postpartum exercise plan; I certainly have good quads from it. For a couple months, the Graco Everyway Soother occupied a prominent place in our living room. If Joey was awake, I could adjust the rocker to a more upright position so he could watch what we were doing. We joked it was his “roller coaster,” as it gently moved him up and down or round and round. The Soother provided a break from holding him, letting me do some housework or help the girls with their schoolwork, while Joey was still close by. 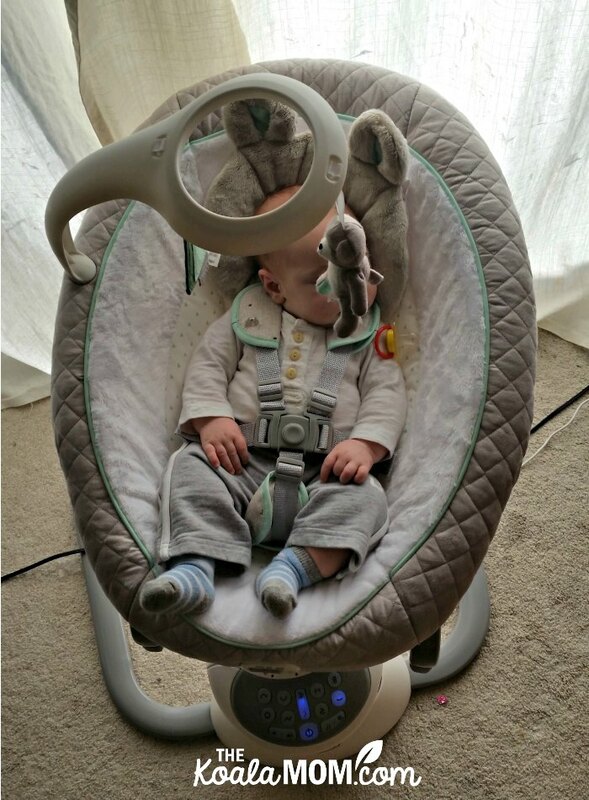 If Joey fell asleep in the soother, or if he was close to nap time, I’d put the rocker in the more reclined position. If he was fighting sleep or being a bit fussy, I could increase the speed of the motion or choose one of the “bouncier” rhythms. (If you have older siblings, they can “help” turn the Soother on and off or pick the settings for baby, as 2-year-old Pearl loved to do). I also appreciated the white noise, as I’ve found this a huge help in getting my last few babies to sleep. I was quite impressed by the variety of music here. 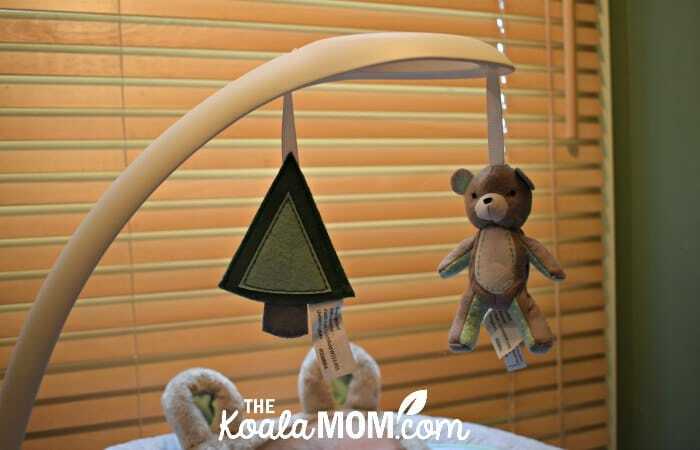 We’ve had a lot of baby toys over the years and often they play the same old same old baby lullabies. The Graco Everyway Soother has some really nice lullabies, including a few classical music clips we recognized and enjoyed. It also has about four “natural” noise settings, including a “shush” (which I use most frequently), dripping water, etc. 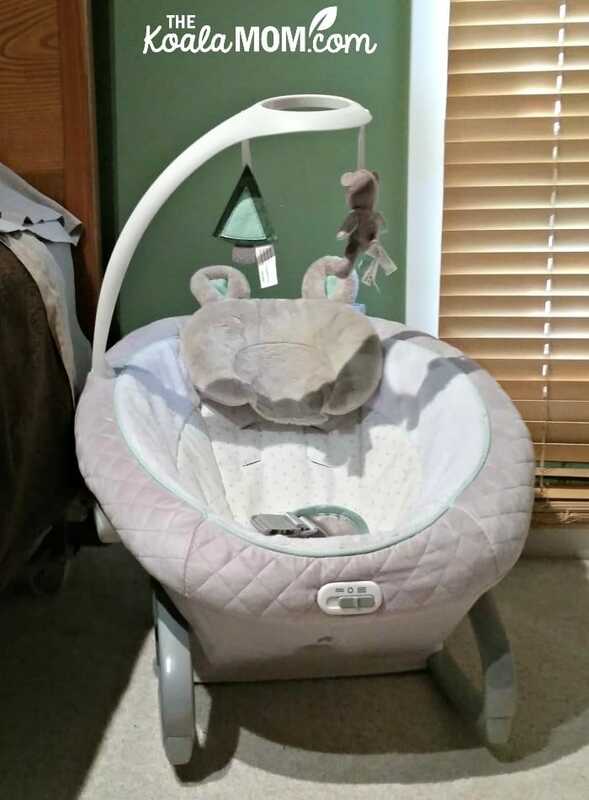 The rocking chair can detach from the Soother base. This was handy if Joey fell asleep in the evening, as I could then move his entire rocker to the bedroom (which was less likely to wake him up than trying to take him out and transfer him to bed). I also used the chair for showers, as I could plunk Joey in his rocker in the bathroom and keep an eye on him while I showered. The Graco Everyway Soother helped us create a consistent routine for Joey, no matter who is watching him. Whether it’s me putting him to bed, or my husband or a babysitter, he still goes down in his Soother with the same white noise on. In Joey’s first few months, this let me get out of the house a few times on my own, knowing Joey had his bottle and his Soother and would be okay without me (for a short time!). That was a big help in surviving the colicky baby stage. When Joey reached about four months, I noticed that having his Soother in our main living area wasn’t working. The girls’ rowdiness often woke him up, even with the white noise on to mask their noise. So I moved the Everyway Soother into a corner of our bedroom. Now, Joey sleeps there (with white noise still) for his naps and the first part of the night. Having outgrown the colicky stage, Joey is a busy, happy, growing baby. At six months, he is already twenty pounds and working on crawling. When he’s awake, he’s on the go, watching his sisters or attempting to scoot over to whatever interesting bit of paper or food they’ve dropped on the floor. When he starts to get cranky, I know it’s time for a nap… but like any busy baby, he often fights sleep because that toy he was playing with is way more interesting (even if he’s wailing while chewing on it). That’s when the nap-time routine with the Graco Everyway Soother kicks in. Joey doesn’t fall asleep in the Soother anymore. I stand near it, turn on the white noise, give him his pacifier, and bounce or rock him until he stops fighting the sleep. Then I can put him down in the Soother. He usually opens his eyes once or twice, but the Soother holds him snugly (like me), and so he goes back to sleep. If he doesn’t immediately fall asleep, I’ll turn on the gentle rocking and then he’s out for sure. I buckle him up, tuck him in, and sneak out of the room. I really like how compact and sturdy the Graco Everyway Soother is. The base is quite heavy, so I don’t move it very often. Despite being sturdy, the Soother doesn’t have a huge footprint (compared to other baby swings). We have a small condo, so I don’t have a lot of extra space for big baby gear. 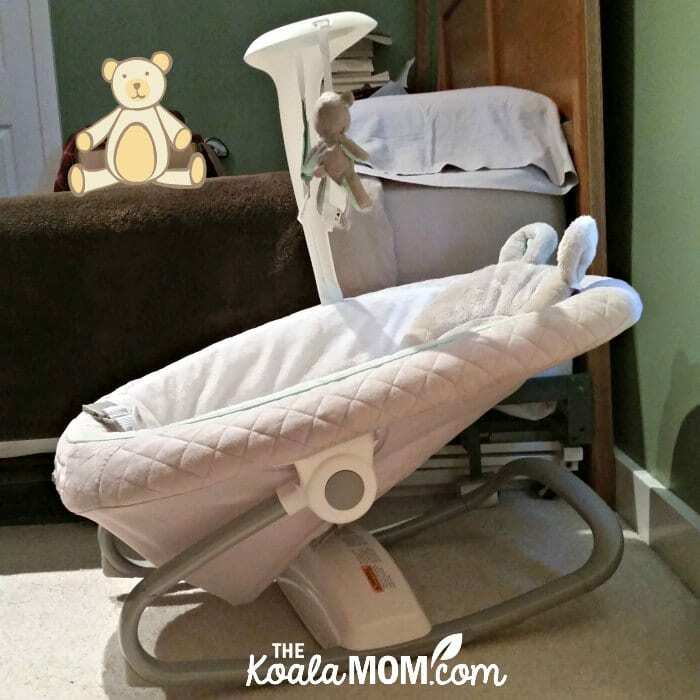 The Graco Soother has worked well in either the corner of our living room or the corner of my bedroom. One thing I don’t like about the Graco Soother is that the electrical cord is quite short. This has limited where we can put it, as it has to be fairly close to the plug. In the living room, this meant I put the Soother near our patio door. As the weather warmed up and we began using the patio door more often, that got awkward (which was another reason to move the Soother to the bedroom). The Graco Everyway Soother came with a five-point harness for baby. However, Joey soon outgrew this harness. I tried to adjust the shoulder straps, but they were still too short. I finally took them off and tucked them inside the cover of the rocker. I now buckle him just with the waist harness. This hasn’t been a problem, as I also usually have the rocker in the reclined position for Joey’s naps. Finally, yes, the rocker cover is washable. And believe me, Joey has tested that! He’s been a master at pooping out of his diapers. (Either my cloth diapers are really worn out or he’s poopier than his sisters were.) One warm day, I’d left him just in his onesie in the Soother for his nap. (Note: if you have a baby who frequently poops out of diapers, keep his pants on.) Joey had an explosive poop that left big yellow stains on the nice white cover of the rocker. As soon as I’d cleaned him up, I took the cover off and tossed it into the washing machine. It came out as white as it was when new! The Graco Everyway Soother is available on Amazon or at your favourite baby store. UPDATE: When Joey was almost 8 months old, I decided he’d outgrown the Soother. He hit 20 lbs at his 6-month birthday and he’d often wake up trying to squirm out of his rocker. 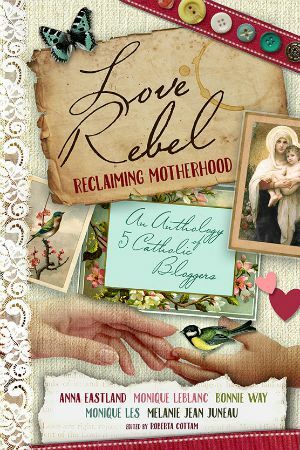 I was sad to see the rocker go (though I passed it along to a friend to rock her new baby!). If he’d been a smaller baby (like my girls), I think he would have used the Graco Soother longer. I set up our Graco Pack ‘n Play for Joey and he seems to enjoy being able to roll around in his sleep. Out of all our kids, he’s transitioned the easiest into his own bed, and I think the Graco Soother has been a big help with that!